Recommended Readings is a recurring post where I share some of my favorite journalism and stories that I have happened upon recently. Forgive me if this post has a bit of an Ohio State flavor to it, I’m clearly very excited for the start of college football and Monday’s game. This article is as quick of a read as it can get, but absolutely hysterical and heartwarming. Before undergoing open heart surgery, a young Ohio State fan wanted to make sure that his fixed heart would still love Ohio State. 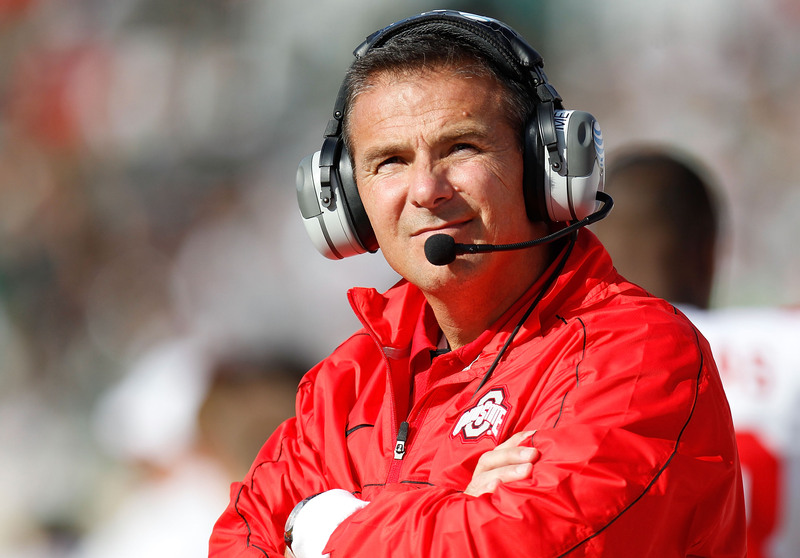 If Urban Meyer is not the greatest coach in the history of college football, then he’s only second to Woody Hayes (Ohio State bias!!). I love this article by Pete Thamel all about how the defending champion Buckeyes plan on avoiding complacency and entitlement. According to Meyer, it’s not talent that will allow the 2015 Buckeyes to be special, it’s their leadership. This is an article that hits close to home for me as I join a Wesleyan team that is the current NESCAC champions. We have to figure out how to define our own identity as a team in 2015-16, because as special as last year was, you can’t repeat everything to a tee. I think Meyer’s right on, that leadership will be key to how far Wesleyan goes this season. For many, many years the role of the Strength and Conditioning Coach was overlooked. Not anymore at Ohio State, where Mickey Marotti has become something of a cult hero to Buckeyes fans. He has transformed the bodies of pudgy freshman football players and pushed champions to their limits. The two most interesting things about this article to me, though, are first, who great coaches like Urban Meyer trust and how they got into the good graces and then secondly, how different coaches have different motivation styles. I would never be able to pull off the degrading motivation that Marotti uses in this article, but because of the intensity of him, the program and the sport, it works wonders. This is a funny article, but one that I can truly appreciate as a big Chipotle fan! I’ve always been a guy who goes with half-chicken, half-steak to maximize the protein and I add in the fajita vegetables and corn salsa, but I may have to start using some of his other tricks!